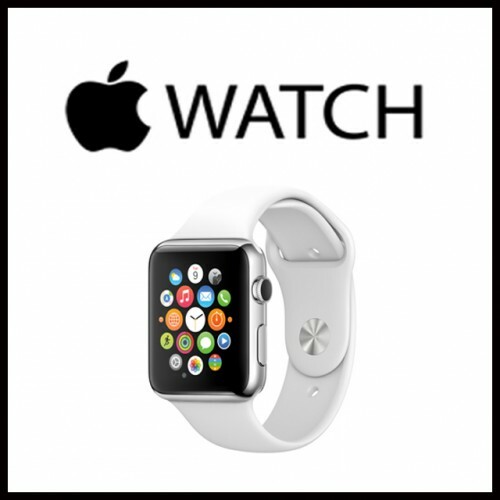 What is to Worry About in Apple Inc. (AAPL)’s SmartWatch? Apple Inc. (NASDAQ:AAPL)’s most anticipated smart-watch, which is going to hit the markets in next month, has made security researchers worried about it before time, as they are already trying to know what security flaws might be present in the device. A CNBC article reported on the news and discussed about the vulnerabilities that Apple Inc. (NASDAQ:AAPL)’s smart-watch might have in it. “Once people see the power of a new technology and they start adopting it, they’ll start using it for things like payments, storing sensitive data, business communications and when people start doing that, now there’s an incentive for attackers to go after the device,” said Kevin Mahaffey, Chief Technology Officer at Lookout, Inc.
Cyber attackers are targeting mobile devices more than the personal computers, so it is certain that they will also target the wearable devices as soon as they are frequently used by the people. Apple Inc. (NASDAQ:AAPL) will make its smart-watch available to purchase in next month but security pros are worried right now because they think that every device that connects to the internet might have a potential for problems and possibility to be attacked on. “The more ways we make data more convenient, the more risk there is to access the data and access things without your knowledge. Just like adding another door to your house, it’s just adding another way for bad guys to get in,” Mahaffey said. Security Researchers are mostly concerned about a possible weakness which might occur when the data is transmitted between smart-watch and the iPhone. Apple Inc. (NASDAQ:AAPL)’s smart-watch also have a Bluetooth connectivity option which requires the Bluetooth to be turned on in order to connect with the iPhone and work properly. This technology is generally safe but there are many examples available as well in which the encrypted communication has been breached and so we cannot call it a technology impossible to break. According to a security consultant at Security Compass and SD Elements Inc., Apple Inc. (NASDAQ:AAPL)’s smart-watch looks like the most secured option among all other wearable devices that are going to be available at some time later. But, every device that can be connected to internet has a possibility to be attacked by the cyber criminals. Apple Inc. (NASDAQ:AAPL) is popular because of providing secured and reliable devices to the people. Even if there are some possibilities for the hackers to get in the internet-connected devices, the company might still be able to provide enough security to its users to keep their confidential information and other credentials safe from the criminals.